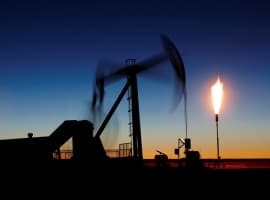 Conflicting data out of China is causing the oil markets to seesaw a bit, amid confusion over whether or not the world’s second largest economy will help or hinder the price recovery. The bulk of the news streaming out of China continues to look bearish. 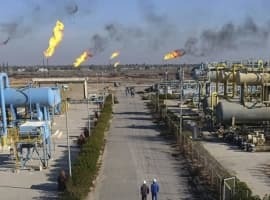 In its latest Oil Market Report, the IEA revealed that global oil demand increased by 1.4 million barrels per day (mb/d) in the first quarter of 2016, but the growth rate slowed dramatically in the second quarter to just 0.9 mb/d, “caused mainly by sharp deteriorations in China and Saudi Arabia.” China’s demand for gasoline, diesel, bitumen and crude oil are all softer than expected. S&P Global Platts said on July 12 that China’s oil demand in May fell by 2.7 percent to 10.88 mb/d. Startlingly, oil imports were down 41 percent compared with the same month in 2015. Moreover, Chinese refiners have recently begun flooding the market with gasoline and diesel, pushing down product prices and raising an enormous red flag for crude oil prices. China’s refinery production rose to a record high of 11 million barrels per day in June, an increase of 3.2 percent from June 2015. But China’s domestic market can’t consume that much refined product, so China has increased exports – exports of refined fuels rose 38 percent in June from a year earlier, jumping above 1 million barrels per day, according to The Wall Street Journal. Diesel represented much of that increase with exports rising fourfold to 1.5 million tons for the month of June. “Weakening Chinese gasoline tallies with a high net-export position: Chinese gasoline imports all but vanished in May, according to the latest Customs Data, while nearly 800 thousand tonnes were exported, producing a heady net-export position of roughly 210 kb/d,” the IEA wrote. Refining margins are taking a hit as a result of excess supply coming out of China. JP Morgan estimates that margins across Asia have declined to $4 per barrel, down one-third since the beginning of the year. At the same time, China is also providing a bit of a bullish push to oil prices, in an unexpected way. Oil production in China is down 4.6 percent so far this year, the lowest six-month total since 2012. China has some expensive and mature oil fields that need investment to prevent declines. But the state-owned oil companies in China, like the rest of the global oil industry, are faced with the need to cut spending as revenues slip. Lower maintenance and investment is leading to production declines. PetroChina announced earlier this year that it would shut down oil fields that have “no hope” of being profitable. Finally, there is a looming, if murky, variable that could put further downward pressure on crude oil prices. China’s oil imports have been elevated over the past two years because of its campaign to fill up its strategic petroleum reserve. In late June, however, JP Morgan estimated that the SPR is close to filling up. If that were to occur, and China no longer needed to import that extra crude, oil imports could fall by as much as 15 percent. On balance, it is a bit difficult to say how China is influencing crude prices. It is largely still helping move the oil market to balance, but China may play more of a bearish role in the second half of the year. 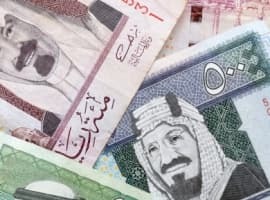 Would be interesting if the Saudi's really are about to get caught with their pants down if China would really make a sudden 15% drop of imports. But, I find it hard to believe the Saudi's would be that out of touch suggesting a balance is being reached when China imports are about to drop so dramatically.